BOISE — The Boise VA has 48 different programs and support groups to help veterans battle against suicide including mental health programs, substance abuse programs, therapy groups, and PTSD programs. However, leaders at the VA are also part of a group of 40 stakeholders in Idaho that are dedicated to providing more resources for people all across the state. These stakeholders came up with a five-year plan that contains five goals and 60 objectives they believe will reduce suicide rates by 20 percent by 2025, the state allocated over one million dollars a year to obtain that goal, now these stakeholders are looking for an additional one million dollars to implement a one-year action plan to get the ball rolling. "393 people died by suicide in Idaho in 2017," said Mary Pierce the suicide prevention coordinator at the Boise VA. "In general it's estimated that 20 percent of that number is veterans." 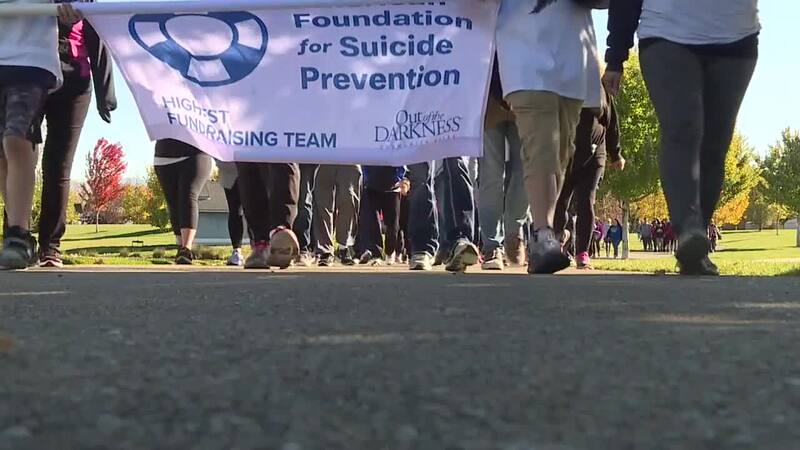 Idaho has the fifth highest suicide rate in the United States and Governor Brad Little came out in support of budgeting the extra one million dollars to help curb this problem, however other lawmakers would like to see if the money already allocated towards suicide prevention could be used to get the one-year action plan off the ground. Pierce said that the money is needed because currently 60 percent of the funds go towards staffing the 24/7 crisis hot lines in Idaho. The VA hot line is 1-800-273-8255.